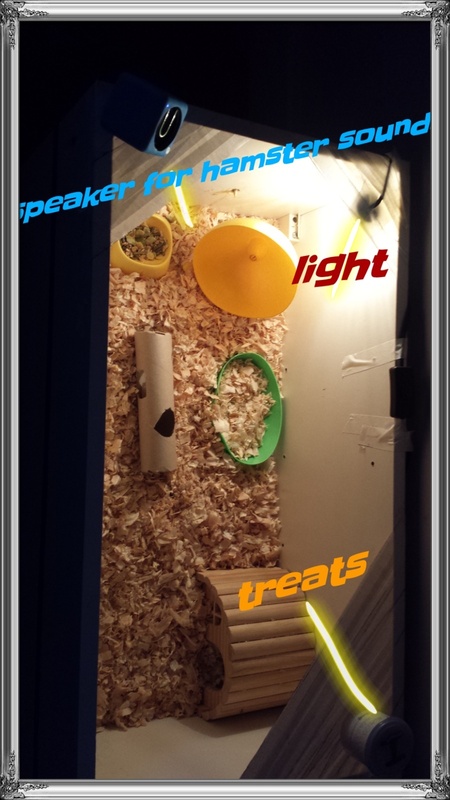 The video below shows Blueberry the Roborovski hamster learning how to go up his new toy. We put sunflower seeds on the steps to make him climb on it one by one. At first, there were sunflower seeds on the lower steps (orange and green) they were removed after he learned how to go up them. The training was done over two days although we had already put the toy in his cage for a while for him to get used to. Previously, we trained our winter white hamsters to go up the rainbow steps as well and they learned it much faster — almost immediately without falling off as much as Blueberry did. If you haven’t, watch this video of Oatmeal the winter white dwarf hamster going up the platform (this was her first day with the toy!). I’m not sure if the species of the dwarf hamster had anything to do with how fast they learnt how to climb the steps but our other robo dwarf hamster, Ichigo, had difficulty with it as well. All the colorful wooden toys you see in the video are available at Hamster.sg. However, shipping is only available within Singapore at the moment. How Much Food Can A Hamster Stuff In Its Cheeks? Hi.I tried to use sunflower seeds to ask them to do things but they just did nothing.Is my hamster sick or not hungry? Does your hamster like sunflower seeds? Ours love them so it’s a good treat to use for training. If your hamster has other food that they like, you should use those instead of sunflower seeds. I know my hamster, Baby, dislikes them, so maybe yours does too? I had NO idea you could train a a hamster. I’m a guinea pig and I couldn’t imagine a HUMAN telling me what to do! It’s always the other way around. Do you have a bin cage?